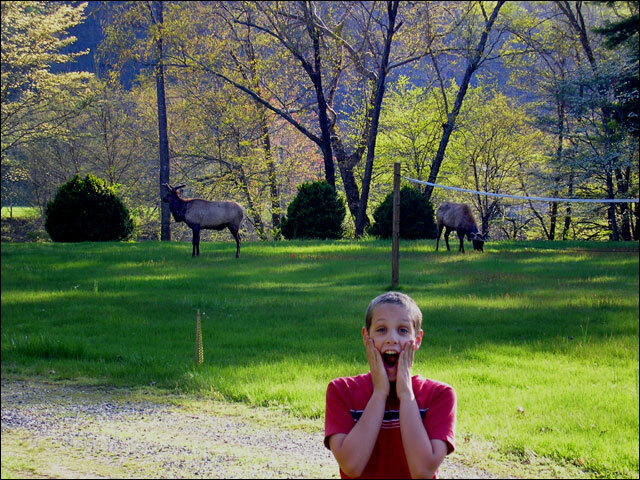 Central to the Great Smoky Mountains National Park, the best roads and rivers, hundreds of waterfalls and great wildlife viewing there are memories in the making for generations to come. 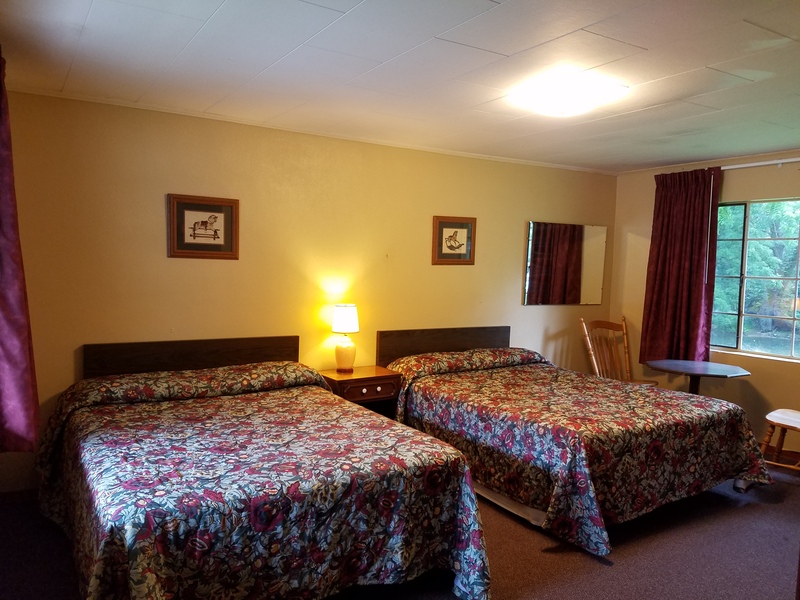 Two Rivers Lodge is a nostalgic 1950's style Mom and Pop motel with 21 rooms and a three bedroon family cabin. We are set at the joining of two rivers on 4 acres with an eighth mile of scenic river front just 5 miles from Bryson City and Cherokee. We have a riverside park with a 40Ft. pavilion covering a bonfire pit, picnic tables and porch gliders. There are porches with chairs and tables in front of all the rooms. We have a large seasonal pool and kiddie pool. Come enjoy the quiet side of the Smokies at Two Rivers Lodge. We have three rooms with a king bed and river view. They each have a refrigerator, microwave and coffee maker. They have a two person maximum occupancy and with a sofa, coffee table and flat screen tv they are perfect for couples. They start at $89. weeknights, $99. weekends and $119. for holidays and events. Inquire about special off season pricing. We have two Rooms with 1 queen bed 1 full bed and a river view. They each have a refrigerator, microwave and coffee maker. They have a four person maximum occupancy and with a small table, chairs and flat screen tv they are perfect for bringing the kids. With 2 persons they start at $89. weeknights, $99. weekends and $119. for holidays and events. Extra persons are $10. each/night. Inquire about special off season pricing. We have four rooms with a king bed and pool view. They each have a refrigerator, microwave and coffee maker. They have a two person maximum occupancy and with a sofa, and coffee table they are perfect for couples. They start at $79. weeknights,$89. weekends, $109. for holidays and events. Inquire about special off season pricing. We have twelve rooms with 1 queen, one full bed and pool view. They have a refrigerator, microwave and coffee maker. They have a four person maximum occupancy and with a small table and chairs they are perfect for bringing the kids. With two persons they start at $79. weeknights, $89. weekends and $109. for holidays and events. Extra persons are $10.each/night. Inquire about special off season pricing. 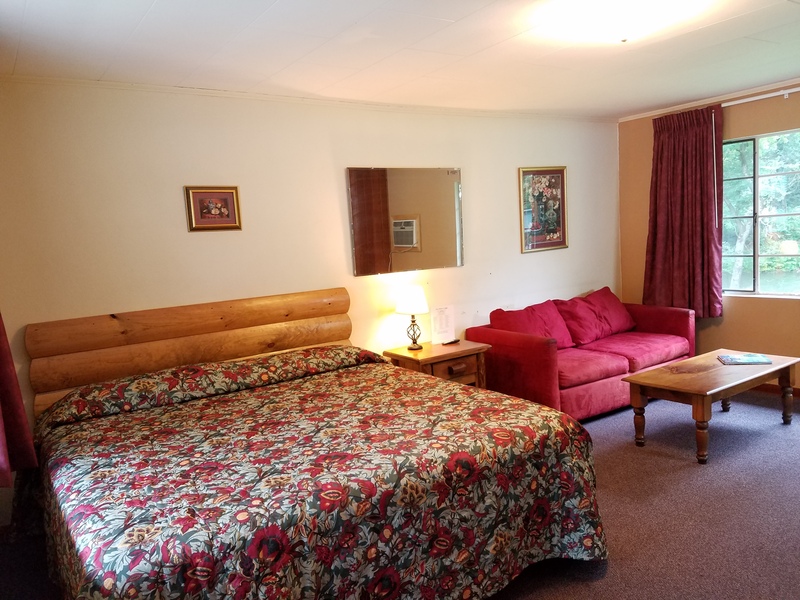 The Tuck cabin has three bedrooms, two bathrooms, enclosed parking for one automobile, laundry facilities, a stone bonfire pit and a fully equipped kitchen. With one king bed and 2 queen beds it has a maximum occupancy of 6 persons. 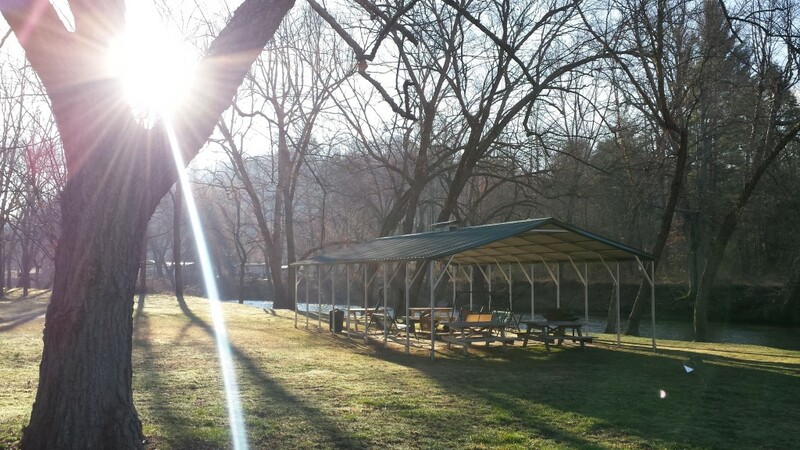 Cabin guests also have pool privileges, access to our riverside park and covered bonfire/picnic pavilion. With two persons rates are $149. weeknights, $159. weekends, $179. holidays/events. Extra persons are $10./night each up to a total of 6 persons. There is also a $75. cleaning fee. Inquire about special off season pricing. With four acres of level ground and an eighth mile of river front we have the best outdoor spaces of any lodging in our price range. 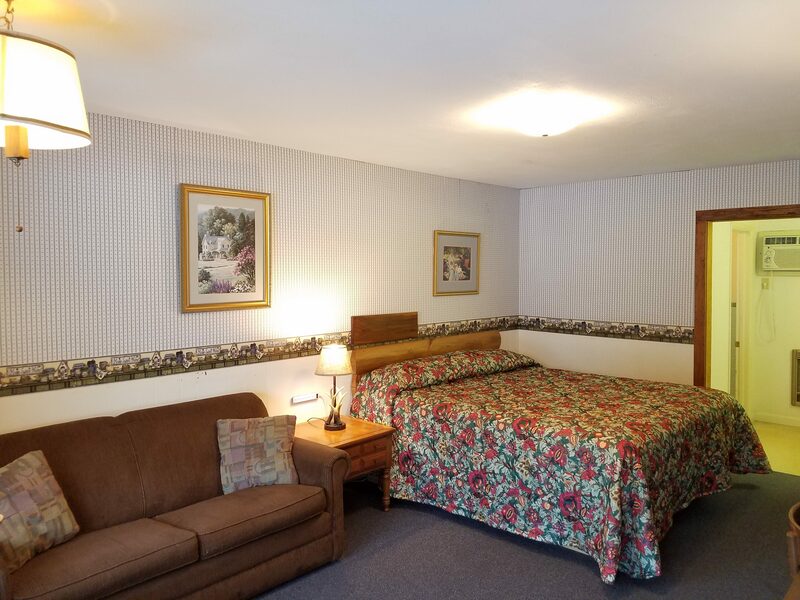 To make a reservation you may call us directly at 828-488-2284 or you may book on line through booking.com by clicking the button to the right.